Wait, how is this Druther's? Our company, Druther's, is the corporation behind all of those restaurants you've probably heard about in the past. 2017 was the first year our company ventured onto social media, and 2018 was the first year our company ever maintained a website on the Internet. We've kept a very low profile over the years, but due to a certain amount of incorrect TV coverage and misinformation spread throughout social media about us, our company has basically been forced to get online. Is there more to Druther's than just Dairy Queen? I would like Druther's to partner with or invest in my business, how do I do that? Just send Robert Gatewood or Brian Easley an email at contact@drutherssystems.com. I currently own/co-own/operate or would like to own/co-own/operate a Dairy Queen Grill and Chill location. How do I become a Druther's Dairy Queen Joint Venture Partner in the United States or abroad? Just send Robert Gatewood or Brian Easley an email at contact@drutherssystems.com. For new ventures, Dairy Queen must first be contacted by someone who would like to purchase or build a store in your area. If you or someone you know are interested in opening a Dairy Queen franchise with Druther's as your Joint Venture Partner, please contact Dairy Queen by clicking Franchise With Us. If you currently own/co-own/operate a Dairy Queen and would like Druther's to be your partner, or buy out your existing partners, email or give us a call. Remember, "I'd ruther partner with Druther's." I currently own a former company location or property, can I "reconnect with the mothership" and become a partner with Druther's again? Yes. Absolutely. Any time. Give us a call or email. Would you donate toward our event, team or organization? Our company has been a member of the communities we've served since the 1950s, and we've contributed to countless charitable causes, sports teams and other organizations. For specific Dairy Queen inquiries, please contact our partner locations in Indiana, Kentucky and West Virginia. For inquiries directed at Druther's, we'll consider the proposal and also extend the opportunity to our partners for their involvement. What sets a Druther's Dairy Queen Grill & Chill apart from the rest? A Druther's Dairy Queen is a DQ Grill & Chill model restaurant with a breakfast program, that has an expanded menu, and is open all year round. Druther's is the Joint Venture Partner (JVP) and minority stakeholder in the restaurant, and also maintains a professional bookkeeping service for all partner locations. Druther's partners are independent - they own and operate their location however they choose - but they are also a Druther's partner, and have access to all the benefits and financial backing of that partnership and network. The addition of more than 100 high-volume "Druther's Phenomenon" Dairy Queen locations in the 1990s to the Dairy Queen family, as well as Druther's involvement with Dairy Queen Corporate Stores from 1996-2011, introduced a uniform breakfast program to the DQ brand and served as one of the inspirations for the DQ Grill & Chill model, which was developed by a committee of franchisees within International Dairy Queen. Are there any Burger Queen restaurants left? As of 2018, there are two independent Burger Queen restaurants, former international franchisees, in Taipei, Taiwan. Our company currently has nothing to do with any businesses or entities in the world that have chosen the name Burger Queen. Are there any Huckleberry's restaurants left? Druther's agreed in 1984 with our partner Grand Metropolitan to sell the 17 Huckleberry's locations in the United Kingdom. Our company currently has nothing to do with any businesses or entities in the world that have chosen the name Huckleberry's. Are there any Druther's Restaurants left? As of 2018, there is one independent Druther's Restaurant, a former franchisee, in Campbellsville, Kentucky. Our company has nothing to do with any businesses or entities in the world that have chosen the name Druther, Druther's or Druthers. Similarly, we are not involved with any breweries in New York state. What happened to Queenie Bee? Queenie Bee was created in 1971 and introduced in 1972. Queenie was phased out during the Druther's era and replaced with Andy Dandytale. We are currently exploring the possibility of bringing back Queenie Bee as the mascot of our holding company, as well as continuing her appearances at charitable events, hospitals, parades, etc. Do you plan on bringing back any of your brands? We have explored the possibility of bringing back our brands. Due to our involvement and relationship with the Dairy Queen brand, and our continued mission to make Dairy Queen the best quick service restaurant brand in the world - currently - we have no plans to bring back our other brands. Our company has been privately held since 1956. Since 1982, the owner has been Robert Gatewood. Prior to that date, only Harold Kite, George Clark, Mick Gannon, John Clark, and Tom Hensley owned the company. Where was the first Burger Queen restaurant? The first Burger Queen was opened in 1956 in Winter Haven, Florida by Harold and Helen Kite. Our first Kentucky franchise location was opened on September 23, 1963 by George Clark and Mick Gannon in the Middletown area of Louisville, Kentucky. Where was the first Huckleberry's restaurant? The first Huckleberry's opened in 1979 in Wood Green, North London, United Kingdom. Where was the first Druther's Restaurant? 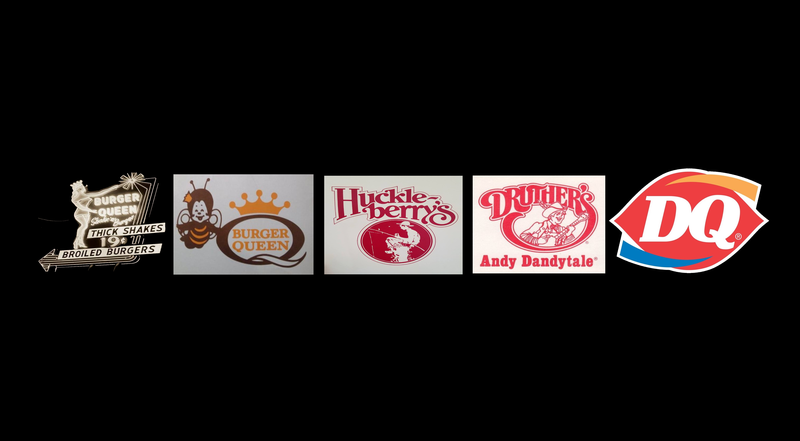 The first Druther's Restaurant, opened in test during our 1979-1981 rebrand from Burger Queen to Druther's Restaurants, was located in Union City, Tennessee. I own a restaurant called Burger Queen, King Neptune's or Huckleberry's somewhere in the world and would like to partner with you, how do I do that?